Lithuania’s vast forest tracts were some of the last havens for two species of spectacular wildlife, the European bison and the aurochs, or stumbras and tauras respectively in Lithuanian. Archeologists have found images of these animals in cave paintings, clay figures, and carvings from the Stone Age. 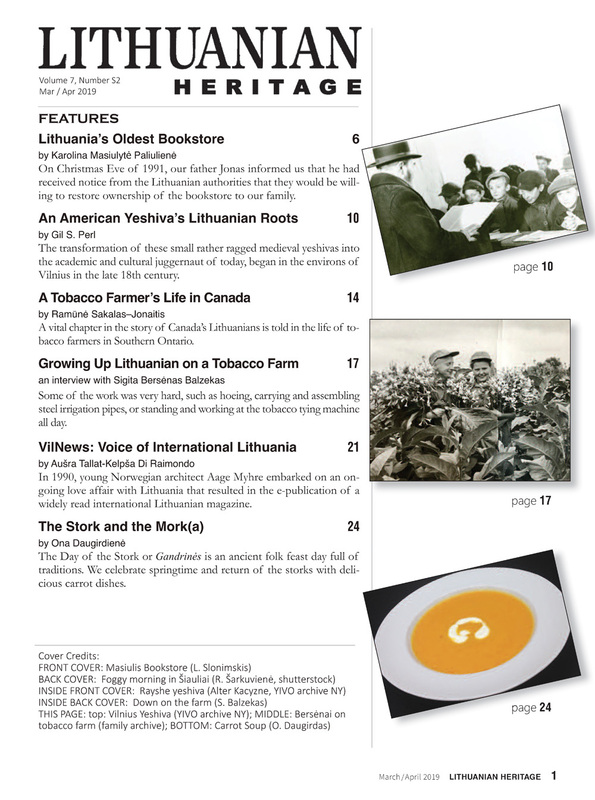 Similarly, the stumbras and tauras are imprinted on the history and culture of Lithuania. Even the language shows their traces. Being large bovine animals, equally symbolic of wild­ness and strength, the bison and the aurochs are often confused and misidentified. 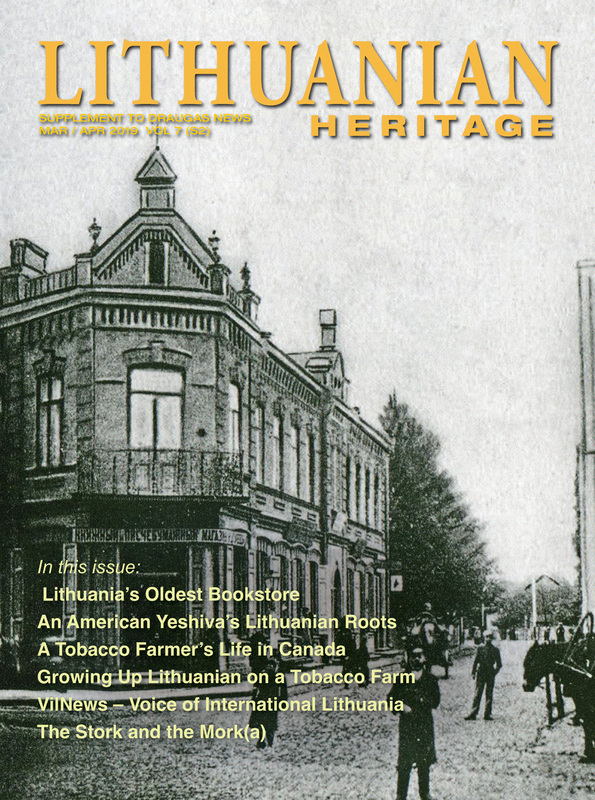 Part 1 of this two-part series in the Movember/December 1999 issue of Lithuanian Heritage dealt with the stumbras, its history in Lithuania, and its rescue from extinction. In the following article, Part 2 of the series, we consider the tauras, a legendary beast whose descendents are domestic cattle of today. ACCORDING TO A LITHUANIAN LEGEND, KING Gediminas was out hunting in the vicinity of the stream called the Vilnia where it flows into the Neris river. There he slew an [unusually large wild bull identified as be­ ing a member of a now extinct species known to sci­ ence as Bosprimigenius and to Lithuanians as “tauras.” This species of wild ox is called the aurochs in English. Since the animal in the tale is described as large, its height at the withers would have been at the upper end of the range for an aurochs, which is 1.6 meters. That’s approaching six feet. The animal’s weight might have been around 800 kilograms (nearly 1800 pounds), the upper end of the weight range estimated for the au­ rochs bull. It was late in the day,so Gediminas decided to camp out rather than return home in the dark to his castle at Trakai. That night he is said to have dreamt about an iron wolf whose howl was like the howls of a hundred wolves combined. The story goes on to relate how chįef seer, Lizdeika, interpreted the dream to mean that it was that place that Gediminas will found a capital city which will becom e renow n w orldw ide. Of course, the city is Vilnius where there is even a hill bearing the name “Tauro Kalnas” or aurochs’ hill. This hill is located between Pam ėnkalnio and Tumo-Vaižganto streets on which is situated the Profsąjungų Rūmai (the Soviet-era Palace of Unions.) The horns of Gediminas’ wild bull were probably fashioned into drinking vessels and kept as trophies in accor­ dance with an ancient custom. Writing about Lithuanian hospitality and the types of drinking vessels that Lithua­nians used, historian Teodoras Narbu­tas (1838) states: “Those vessels made of horn were placed on stands, usually of precious metal, and w ere decorated with gem stones, fitted with handles, covers, and hanging decorations. Such horns were usually passed from generation to generation, as a significant remembrance of the one who had killed with his own hands the animal whose horns these were. Descendants of the grand ducal family kept horns of an aurochs that Gediminas had killed on Tauro Kalnas at Vilnius. 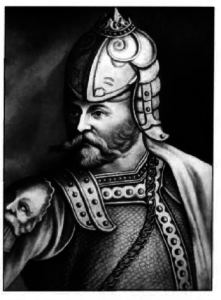 In 1429, while Vytautas was visiting with Emperor Sigismund [of the Holy Roman Empire] in Lutsk, the Lithuanian ruler presented him with a splendid drinking horn.”* We will never know whether the Gediminas legend has any basis in fact, and we can’t even be certain that the animal that he slew was indeed a member of the species Bos primigenius as this animal is confused with the bison C Bison bonasus ) with great regularity. Since it is definitely known that both bison and aurochs were present during the medieval period, it will have to be assumed that the original tellers of the tale knew the difference. The aurochs is regarded by scientists as the ancestor. 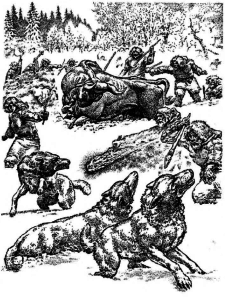 Early Lithuanians hunt an aurochs ( tauras ) while keeping wolves at bay. * Lutsk (Luckas in Lithuanian), located in present-day Ukraine, w as o n e o f the most important Lithuanian cities during the 14th- 16th centuries, an d o n e o f the residences of Vytautas the Great. A sum m it o f European heads o f state w as co n v en ed by Vytautas in January o f 1429 to discuss an d solve eastern and central European problem s. T he rulers o f the Holy R om an Empire, Poland, M us­ covy, an d the Teutonic Order, an d the representatives o f the Pope, the King o f Denmark, the Byzantine Emperor, the Golden Horde, the Hanseatic League, the Russian cities o f Novgorod, Pskov, Riazan, T ver and m any other provinces an d territories attended . During this conference , the Holy R om an Emperor promised to sen d Vytautas a royal crow n. In o rd e r to feed the participating dignitaries and their retinues for fifty days, Vytautas had one hundred aurochs slaughtered each day, in addition to hundreds o felk, steer and lam b. Scientists assemble genetic material of an extinct animal species and generate living individuals of that species. Then they introduce the animals into a suitable environ­ment w here they flourish. Does this sound like Jurassic Park, the science fiction book and film by Michael Crichton in which dino­saurs were recreated from bits of DNA found preserved in amber? Yes, but we are speaking here about the real world, not fantasies out of the mind of a paperback writ­ er.